Billy the Cricket, originally uploaded by valleydweller. 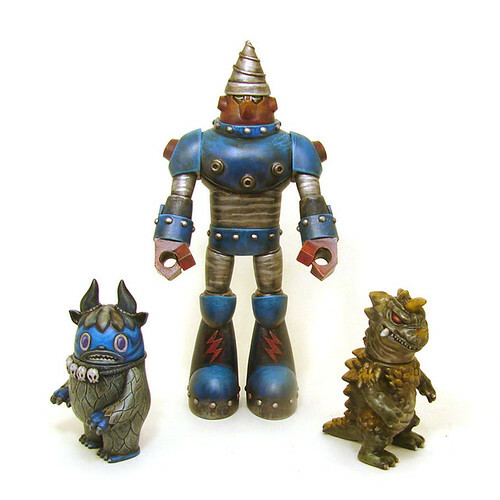 Heading down to LA for the Blamo 5th Anniversary show opening at Toy Art Gallery. Marketing done more than 24 hrs before the show! Back to painting customs. #designercon #exclusives #vdrmoves #dconbooth321 #h2m #spookypebbles, originally uploaded by valleydweller. 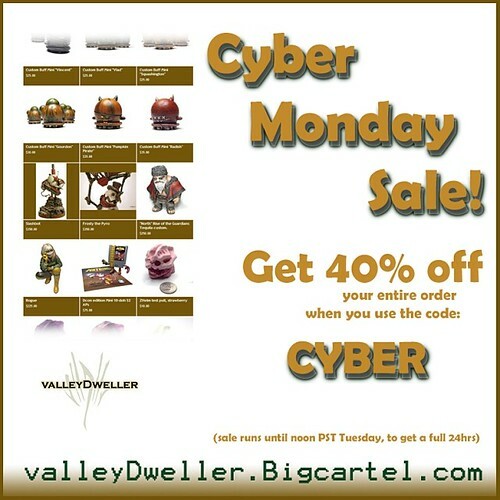 ValleyDweller exclusives for DCON 2013. Booth 321. Customs and additional artwork available all weekend. zuurbs, a set on Flickr. ‘Zuurbs’ is a custom Kidrobot ‘Bots series that features the 3″ figures with resin Zuurn masks and some awesome paint style. 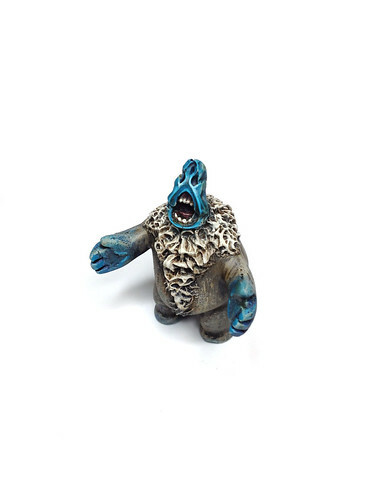 This original blind box series features 10 unique designs (so no need to worry about dupes) each with different sculpting or paint work, making each figure a one of a kind! 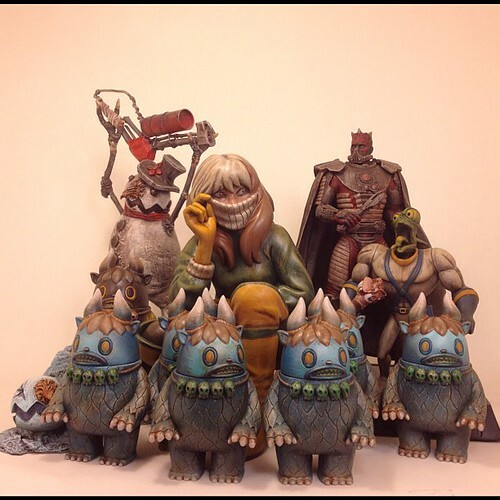 These figures will be available for $75 each in the UVD Store tomorrow, June 7th, 2013 at 3pm EST. Which ones will you get? Little Prick, a set on Flickr. Here’s my contribution to Scott Tolleson’s “The Deadbeet Show” at Toy Art Gallery later this month. 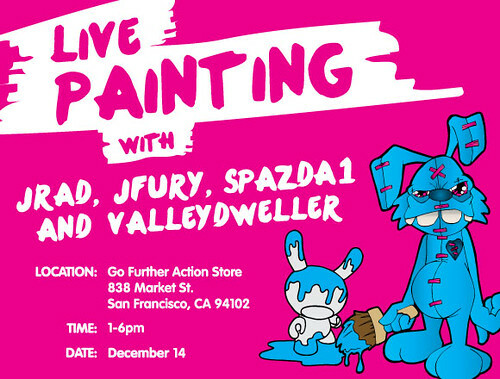 Live Painting on 12/14 in downtown SF, originally uploaded by valleydweller. The Go Further Action Store is a pop- up store organized by Ford Motor Co that focuses on design through film, gaming and designer toys. 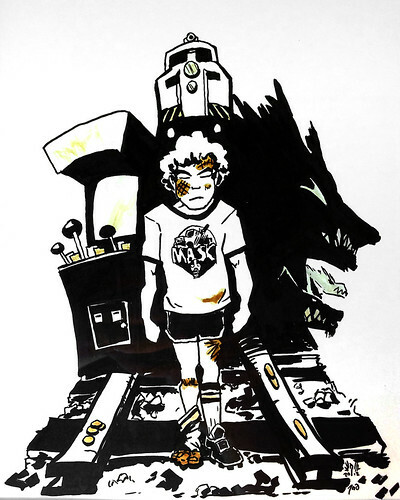 Kidrobot has a shop located inside the store and will host this live art event. Artists will work their magic on Mega MUNNYs and canvases, while local DJ talent entertains the ears. 2k will be giving away game packs at the event, and refreshments will be served. The Kidrobot store is open from 11am to 8pm on weekdays, and weekends from 10am to 7pm. Check out the GoFurther Facebook page for more information, or hit up Kidrobot San Francisco! Only a fraction of what I’ll have @designercon booth #728 tomorrow. @valleydweller #dcon728, originally uploaded by valleydweller. Preview of pieces for my booth at Designer Con. Come by and say hi on Saturday! Booth 728. "Other side of the tracks." for Super Cooper’s Memories are Made of This show @munkyking, originally uploaded by valleydweller. 8×10″ Pen and Ink on Bristol. Growing up, I sunk a lot of quarters into video games at the bowling alley through the woods and across the tracks in my hometown. One time I was running home down the street and was bitten by a German shepherd, and was bitten by two other dogs on different occasions. We also smashed a bunch of pennies on the tracks, hiding in the woods while the trains blew past. 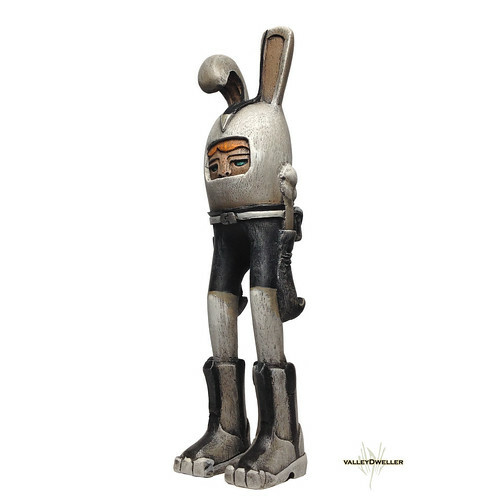 Also represented in this piece are two surgeries and two stitched lacerations, one from skateboarding and another from a golf club to the forehead.